In this tutorial, we demonstrate how to use the Voice Changer Software Diamond 7.0 for changing your voice in QQ instant messenger’s voice chat session. Tencent QQ, generally referred to as QQ, is the most popular free instant messaging computer program in Mainland China, and has over 300 million users. The program is maintained by Tencent Holdings Limited (HKEX: 0700), owned in part by Naspers. Since its entrance into Chinese households QQ quickly emerged as a modern cultural phenomenon, now being portrayed in popular culture. Aside from the chat program, QQ has also developed many sub-features including games, pets, ringtone download, etc. 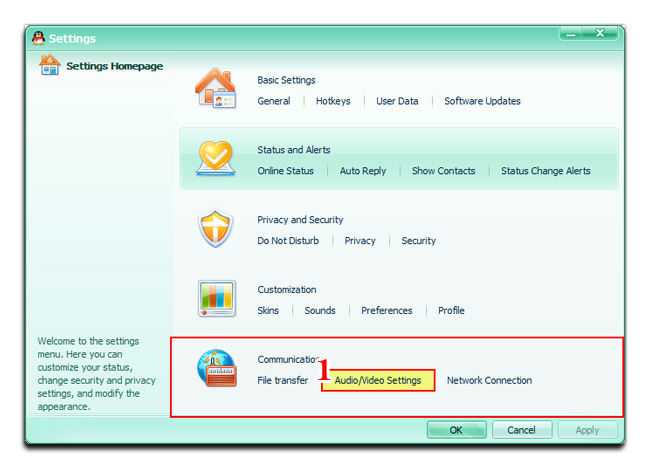 - Click OK button (2) to apply the new setting and close the Preferences dialog box. Return to Voice Changer Software Diamond 7, choose morphing effects for your voice, and make adjustments until you are satisfied with output voice. 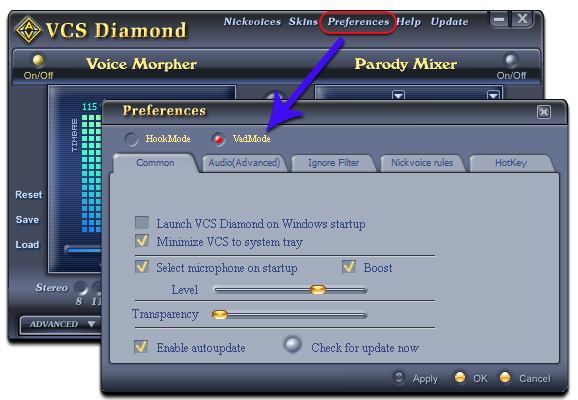 Note: You should have known how to change voice using Voice Morpher feature, and other voice changing features of Voice Changer Software Diamond. - Run QQ, log in your account. - Choose Audio/Video Settings (1) in the Communications section . - Choose Audio (3) tab. 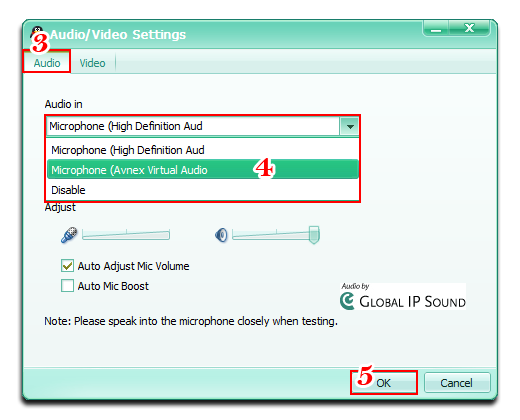 - Change Audio In is “Microphone (AVnex Virtual Audio Device)” (4). 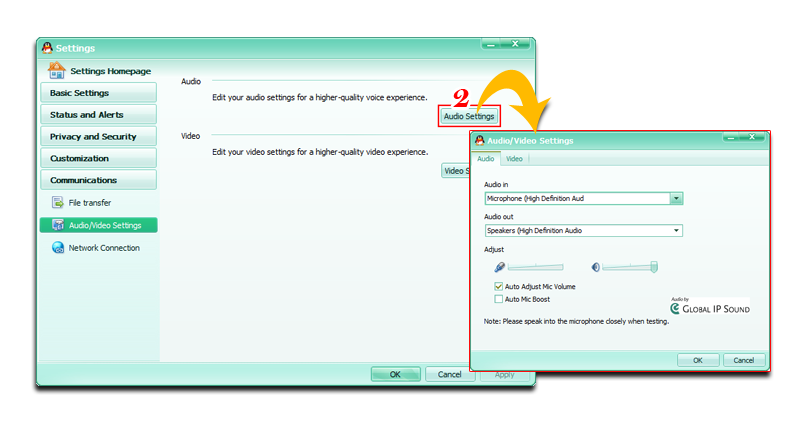 - Click OK (5) button to apply and close the Audio/Video Settings dialog box. Note: While VCS Virtual Audio Driver is being set as the audio driver for QQ, do NOT turn off VCSD 7 when doing voice chat via QQ. 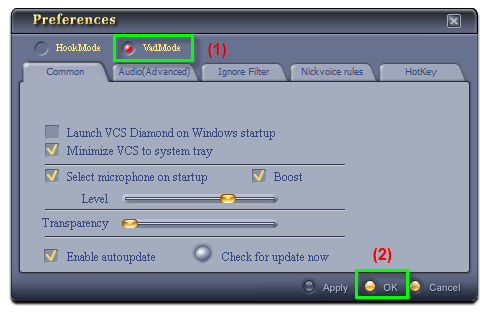 If you don’t want to use VCSD 7, change the audio settings of QQ back to normal audio source.